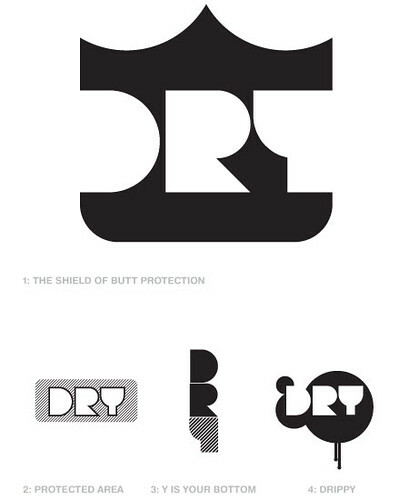 "In 30 minutes, brainstorm ideas for a name, logo, and form factor for a brand of diapers that can be marketed to urban parents. These diapers need an edge, a hint of sly humor or cool that make them stand out from the boring 'ol diapers you can find pretty much anywhere. Boy, did the class rise to the challenge. The following is a case study of how the class took this seed idea and executed it as a design concept. "Raising a kid is a wonderful and joyous thing, but let's be honest: it has its difficult moments. You made it through the morning sickness and nine months of sobriety, and now you get to figure out how to change a diaper that's full to capacity while dealing with a very wiggly and impatient infant. And who ever knew that you had to keep track of what comes out down there? Well, we can't make the job fun in the normal sense of the word, but DRY is here to make it an easier, quicker, and less wasteful task." 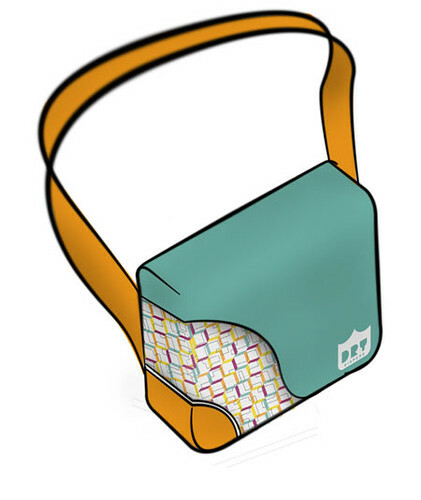 "Our starter pack consists of this stylish messenger bag, with twenty diapers and an oh-so-handy chart on the inside flap for marking the #1s and the #2s. We've even provided #1 and #2 stickers so there's no need to fumble with a pen. 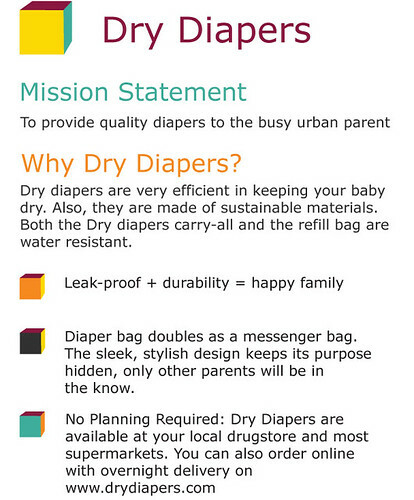 DRY diapers are 100% biodegradable, and the packaging is recycled and recycleable. When you run out of what you buy with the starter pack, a refill pack is only $9.99 and contains 40 diapers. So let us help you change a shi—whoops, can't swear anymore—a stinky job into a slightly less stinky job with DRY diapers (you know, stinky as in not-super-fun...the actual stink has more to do with what goes in, and we'll leave that in your very capable hands.)" 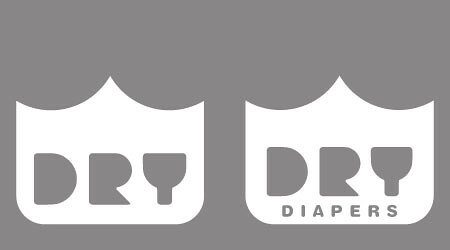 After seeing some rough ideas, the "client" gave approval on this more rudimentary idea of Dry Diapers. 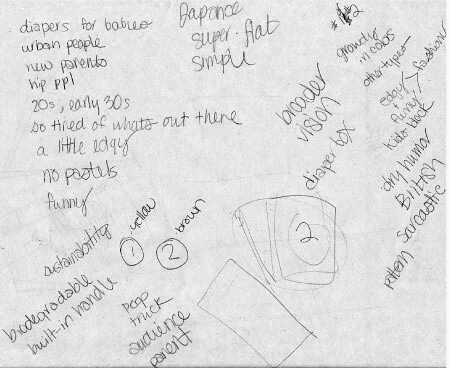 The class was given two weeks and the following deliverables brief to get to an articulated concept. 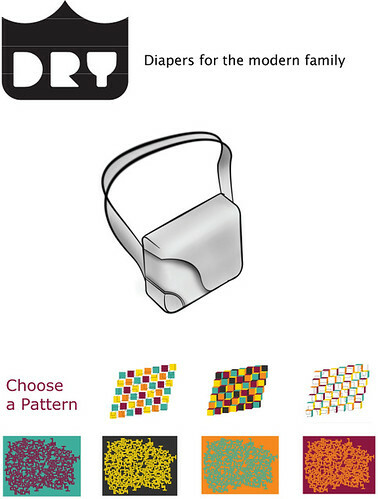 "Based on the work that you presented to the client last week, develop out the form factor, visual language, color palette, copy tone and description, and fully executed logo for the Dry Diapers packaging. Then marry them all up into a design execution. 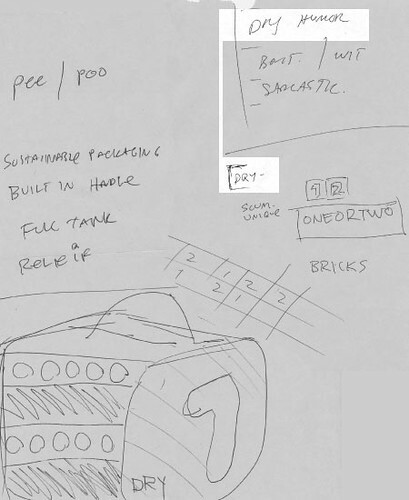 You will divide up amongst your teammates whom will take on what part of the diaper design, and one person will be responsible for bringing the entire execution together." "Some important considerations, based on what I saw last week: 1. 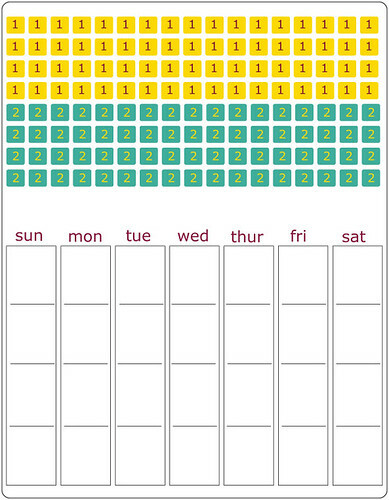 In order for this calendar idea to work, will you need to have a starter bag with some diapers, and then refill boxes that you buy? 2. 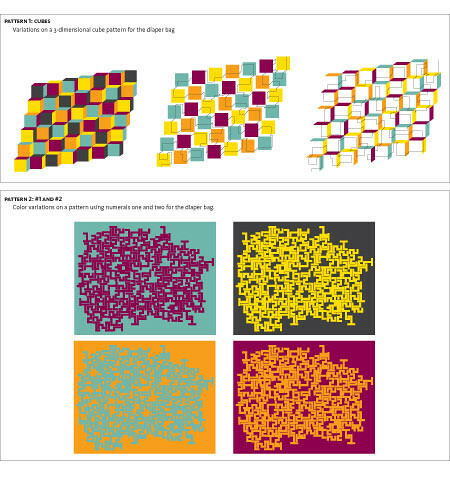 What kind of bag materials will let you put on 1/2 stickers and then remove them safely, without damaging the substrate? And will be sustainable? 3. The idea is cool, but kind of gross too. In what ways can you make it not gross, but sophisticated, in the know, a kind of wink-wink between parents but otherwise cool?" The class was given no instruction on how to divvy up the work to get to the first presentation. Without a formal process in place, Mark, Claire, Donnie, and Meg had to negotiate how they could work together, what tasks whom would take on, and how they would make it to the client review. This proved to be the first hurdle to the project: roles had to be negotiated before any work could start. When roles were set up -- Mark as project manager and logo designer, Donnie as form factor guru and materials genius, Claire as copywriter and visual language overseer, and Meg as the person who would bring it all together for the presentation -- everyone sprang into action. 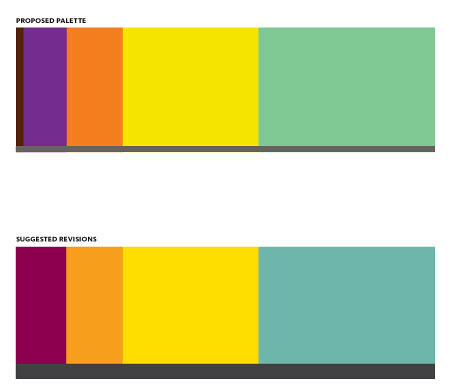 And, at the end of the process, Meg brought the whole thing together into a 3-point presentation that was delivered to the client, who was (of course) happy with the result. Still up for grabs was the 1/2 stickers. Sticker? Marker? Easy to remove? Place it under the flap of the bag? Kudos to all the students for rocking this assignment -- especially considering in the midst of all this work, the class was still carrying on with a number of other individual class assignments! Target, you gotta pick these diapers up for next season!